Hi everyone and welcome back to my blog. 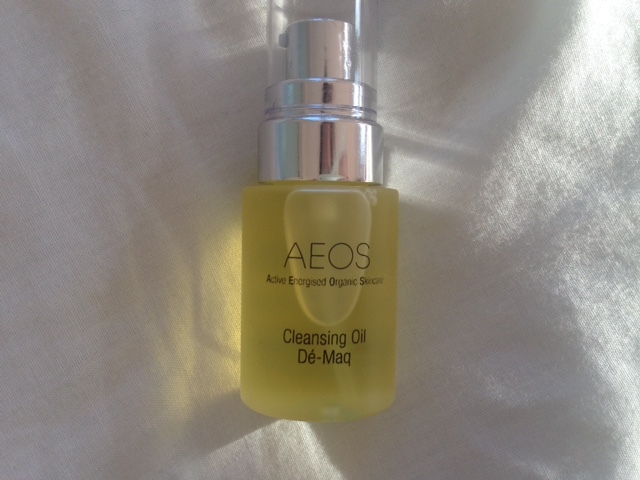 Today I am going to be reviewing the AEOS skincare range that was kindly sent to me a few days ago. I had never actually heard of this particular brand before so I was a little nervous on writing a review. However, a few days ago when my postbox was full of a giant box my nerves ran away and I found myself tearing open my package! That night I roped in my guinea pig (my mum) and decided to take them for a spin. Honestly she was pleading for me to join her in, it was more she was begging to be my guinea pig. However, it was actually a great idea because I had a second opinion and a completely different skin type to try it on. I received the Blue optimal essentials that came carefully packaged which I liked. The box holding in my essentials had split but luckily it was packaged in such a way that it had done absolutely no harm to my products. The package came with this huge pamphlet of what each product did but it didn’t really explain how to use the product, luckily I had done my research online and knew how to use them. So if you are receiving the essentials kit do your research first so you’re not stood with exfoliant dripping down your face wondering what to do with it. At the top of the pamphlet it did state in which order to use the products which is very important for your skin and the overall results. I am also starting with the night time products as that’s what I actually started with! 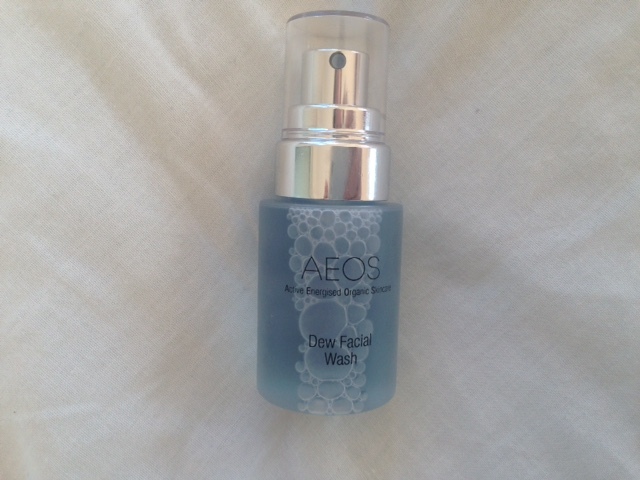 It also states it can remove makeup and can help to maintain the balance of moisture in the skin. I did think I would wake up this morning covered in spots because it is oily (duh!) but, to my greatest surprise I didn’t. I was truly worried about this product but, honestly not one spot has appeared on my face, perhaps that’s from using other products alongside but, who knows! I love it. There is a funny story behind this facial wash and I am a little embarrassed to retell it but, here goes. We were that excited to move on and me thinking I knew everything there was to know about the product we actually did this part of the skincare routine incredibly wrong. I am giggling to myself thinking about it but basically we applied this facial wash to our damp skin and moved on to the next step…even looking back, how could I of been so stupid? You’re meant to drop a few drops of the facial wash in to a bowl of warm water and apply it to the skin with a cloth, repeating up to three times. The first thing inside stage two is apply the Energising Conditioner. Applying this conditioner to damp skin (don’t worry we did!) feels a little strange at first, it almost feels like it’s too greasy and you need it off ASAP but, after letting it sit for a few seconds it starts sinking it. 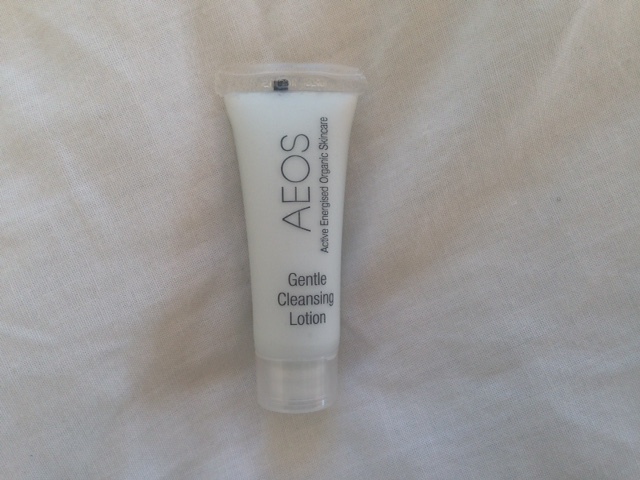 This product is probably one of my favorites inside the AEOS essentials kit. It feels so soft and a little goes a long long way in this case. The hydrating mist was great. It makes you feel like you’re in a spa and you’re being spritzed with all sorts of lovely things. Me and my mum both really loved this product. It can also be used during the day as a quick makeup pick me up, it’s definitely making it’s way in to my handbag. When I saw how much this serum was to buy I actually felt like I needed to like the product because I have never spent that much money on a single skincare product in my life. I am also not big on serums, I don’t feel like they do a lot for my skin. I did try this serum and I really did like it but, I couldn’t help feeling like I had to love knowing the price. ‘This naturally derived ingredient may assist with smoothing wrinkles and plumping the skin. Coupled with essential oils of lavender, rose and rose geranium makes this an ideal serum to help minimise the signs of ageing and encourage a radiant complexion’. This moisturiser sinks in quickly and doesn’t leave your face sticky, like all of the other products a little goes a long way. Like a few of the other products i’m also not a lotion person, I would never purchase one myself but I was actually quite happy with this lotion. It woke me up this morning and I felt like it made my skin feel clean almost instantly. I am a sucker for exfoliants. What I really loved about this was how rich it actually was and even the tiniest squirt was enough to get my neck and face covered with the product. I love also that you can only use it on my skin type max three times per week and on more mature skin only once a week. You can tell in the feel of the product that it’s full of rich ingredients that do wonders to your skin. Loved using this again on the morning as it really feels like your face is getting clean and ready for the day and makeup ahead. As I mentioned prior I really loved this mist and this morning it gave my skin the boost it needed. Beautiful product but still scared to use too much! It does make your skin feel amazing and glowing but…ahhh! the price! 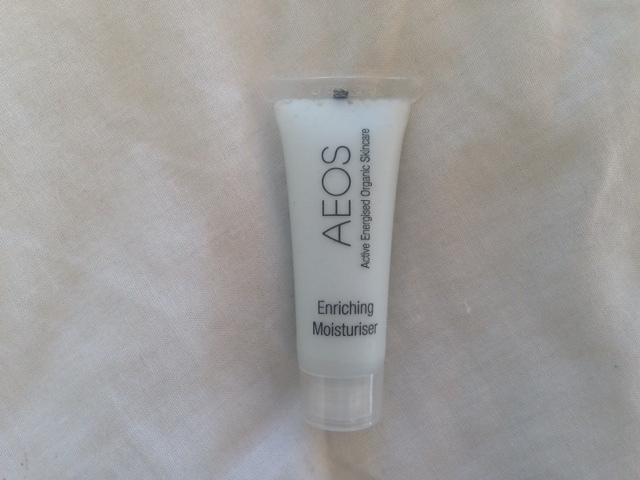 Finally to finish my AEOS skincare for this moning was the Enriching Moisturizer once again! You would think after all of these products your skin would feel sticky but, it actually doesn’t. The products sink in fairly quickly, leaving your skin feeling really ultra clean and glowing. 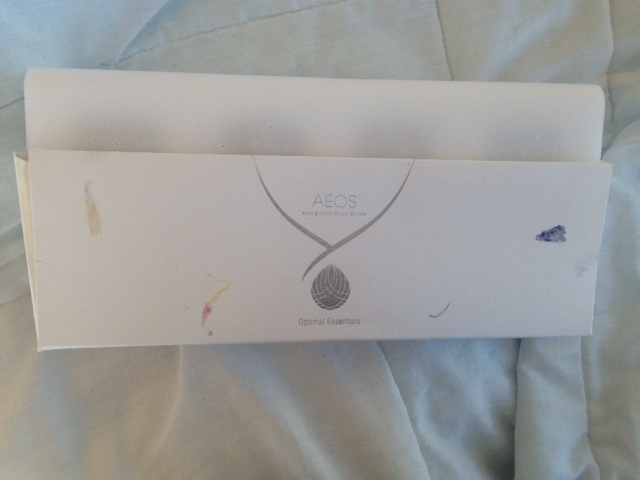 There were two extra products inside the AEOS essentials kit and they were the Beauty Body Shower and The Beauty Body Lotion. I was more drawn to the body lotion purely because of the smell (I’ll explain more below) but both were beautiful products. I felt like although from the same range each product had it’s own smell. Lavender was predominantly what me and my little helper both said kept coming up strongly in most of the products. AEOS pride themselves on the fact that their products ‘are enhanced with the crystal essences of amethyst, turquoise and emerald’. Although each a little different all of them smelt amazing and I am not the biggest fan of lavender. We all know it’s a really calming smell so when applying the night time products it can really relax you and plus you smell great. Finally, the little body lotion I received smelt UH-MA-ZING, it had a little lemony tone to it and reminded me of sherbet and I seriously loved that. If you head to their website you can check out in depth details about the crystals used for each product and the essential oils added. I just know they smell amazing and do great things to your face and skincare routine. What Did Your Skin Feel Like? I was worried I would wake up blotchy and covered in spots especially after our mishap with the facial wash. But, this morning my skin felt soft and glowing and so did my mums. After using the products again this morning I can feel my face feeling clean and fresh and like me, my mum said the same. I will keep using these products until they run out and if anything ground breaking, out of this world has happened I will let you all know! 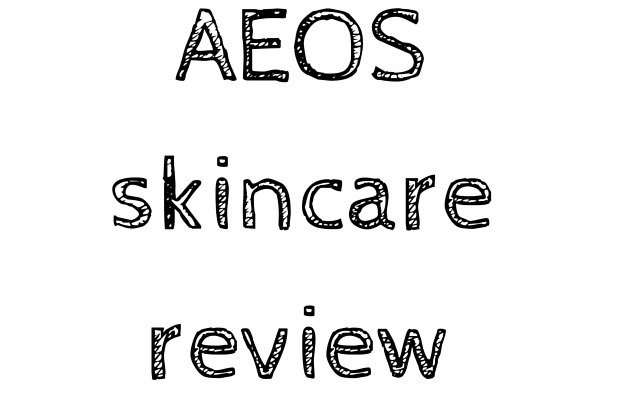 Overall Thoughts on the AEOS skincare kit? I did have my doubts over the kit. Not ever hearing of them, the kit containing oil…I won’t lie I didn’t have high hopes. But I did love this kit and although I probably will give my mum things like the serum and cleansing oil, simply because it suits her skin better, they would seriously be a lovely and such a nice gift or treat to receive. My only problem would be using the kit every night, I’m used to using a makeup wipe and maybe some soap and a little moisturiser before heading to bed. Although it takes no more than 10 minutes, its still a bit of a novelty and I probably couldn’t do it every night. I also couldn’t afford to keep buying new products, although you use only a tiny amount each time they are such a luxury and whoever received them would be blown away. Overall, I loved this kit as it makes me feel so good about my skin and made it feel extra clean, something that a lot of products don’t do and we all just seem to accept it! Finally, if anyone from AEOS is reading this, thank you so much for sending me your essentials kit. I had so much fun trying them all out and seeing the affect they would have on my skin. I am also very jealous that you probably get to smell of it everyday!